WhatsApp parent company Facebook may be coming under increasing pressure for how it accesses and uses data from its account holders but that hasn’t stopped WhatsApp from progressing. Version 2.18.102 of the IM app is currently available through Android beta channels and looks to bring a new mechanism for creating and sending voice messages. Since acquiring WhatsApp for a multi-billion dollar deal, Facebook has done a really great job of rallying internal engineers and introducing new functionality to the app on a semi-regular basis. In that time, we have really seen WhatsApp grow behind being a simple messaging app to the point where it actually has feature synergies with Facebook and another Facebook-owned platform, Instagram. 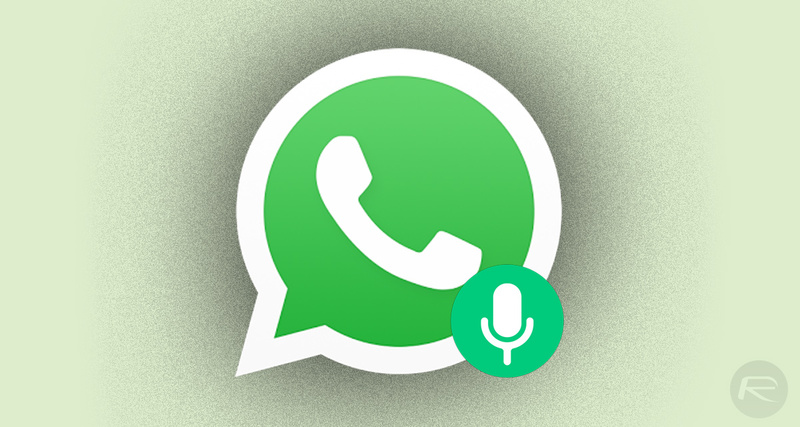 This addition, which should hopefully make it into the next production build of WhatsApp on Android soon as it has been available on iOS for a while, introduces the ability to lock voice message recording to afford a user a more seamless voice note sending experience. 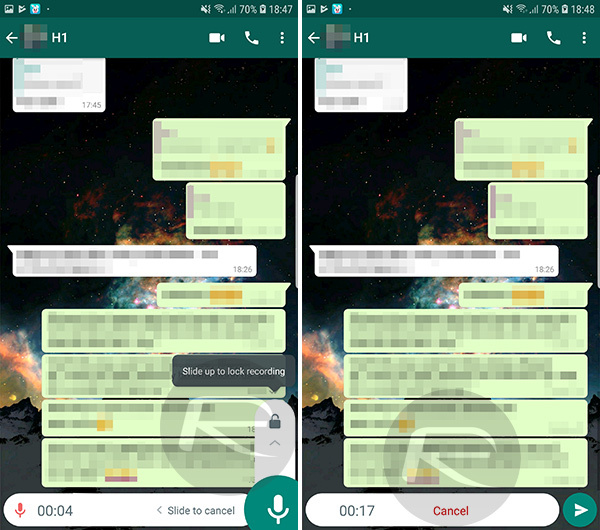 In the currently live version of WhatsApp on Android, the voice recording functionality is somewhat cumbersome and represents a fairly miserable user-experience. Those who wish to send a communication with a voice attachment are required to press and hold the recording button and keep their finger pressed in order to ensure that recording is continuous and lasting. For very short audible clips this isn’t a huge issue. However, for longer voice notes, or for even dictating documents for those who use WhatsApp in a professional capacity, it can get tiring and mundane extremely quickly. Version 2.18.102 looks to resolve that. Now, in this pre-release build for Android, “lock” function is in place which allows the user to slide up to lock the recording functionality after a few seconds of initial recording. This means that all hands can be taken off the device and there is no need for a permanent physical interaction with the screen in order to keep recording. This method does clearly make more sense and it also instantly promotes a more positive user experience. In order to cancel the recording or immediately send it, there is ‘Cancel’ and ‘Send’ buttons available in the updated user-interface. This particular functionality is currently in beta right now on Android and will hopefully roll out to production builds very soon as it has been available on iOS for a while. To get this feature right away, Android users can jump onto the beta bandwagon by heading over to WhatsApp’s Google Play listing for betas and getting enrolled, or alternatively downloading and installing the APK of WhatsApp 2.18.102 beta for Android from here.